The academic programs at Damien are college preparatory. Students are placed into a course of study consistent with their abilities and potential. An Honors Program is available for the academically gifted. Advanced Placement courses are also available for qualified students who would like to earn college credit while still in high school. Students are encouraged to participate in school and community activities. 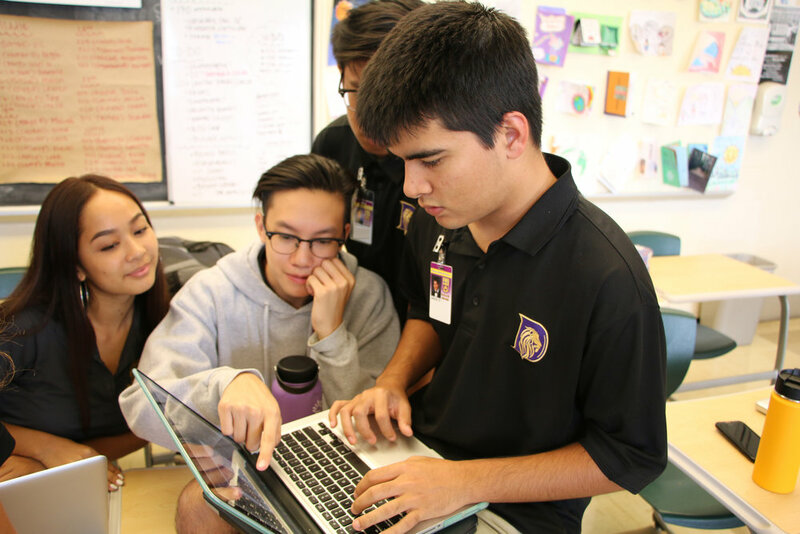 Damien offers a wide variety of curricular and extra-curricular activities including student government, special interest clubs, intramural sports, band, speech & debate, campus ministry, JROTC program, Christian service, and events sponsored by sister schools. Click on a photo below to contact us for more information.